International Auto Show in Detroit. The Sport Sedan Concept, a design study with a particular emphasis on next-generation design and sporty style, was created to embody the essence of a true sports sedan - that rare execution of 4-door sedan with the aura of a real sports car. It previews a future production vehicle intended for owners with a passion for cutting-edge design and driving dynamics. 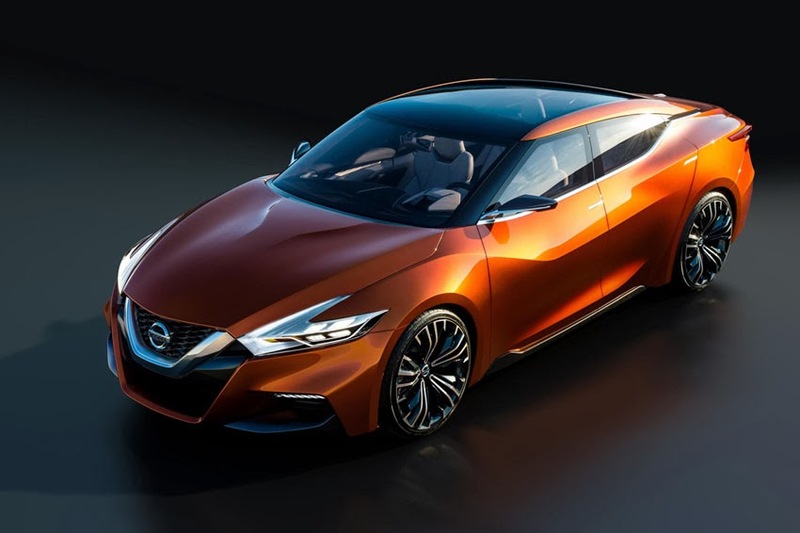 "The Sport Sedan Concept shows a new, highly emotional and energetic design direction that takes Nissan's legendary approach of applying sports car principles to a sedan to the next level," said Nissan Senior Vice-President and Chief Creative Officer Shiro Nakamura. "The Sport Sedan Concept captures that essence with bold and exciting sports car design and proportions." "Our new design direction mirrors the strength, power and capabilities of the engineering and innovation that serves as the foundation of every Nissan vehicle." "Nissan is a brand for people seeking bold and passionate experiences, and who are willing to make choices outside of traditional boundaries. That's why Nissan is committed to breaking new ground in automotive design, as expressed in the stunning new Sport Sedan Concept," added Nakamura. "The innovative roofline, which is also prevalent on Resonance and Friend-ME, makes it seem as if there are no pillars at all, enhancing the sense of athleticism and sportiness. The roofline also contributes to the Sport Sedan Concept's class-leading stance, which balances the look of the substantial lower body and a streamlined cabin"